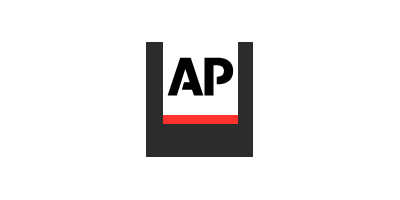 RALEIGH, N.C. (AP) -- North Carolina's environmental watchdog agency has not been trying very hard to force Duke Energy to clean up toxic groundwater pollution near a coal-burning power plant where neighbors can't drink their well water, a federal judge said. U.S. District Judge Loretta Biggs' comments came in a decision late Tuesday rejecting bids by the country's largest electricity company to dismiss or postpone litigation brought by environmental groups. The judge expressed doubt that the state Department of Environmental Quality has been diligent in enforcing federal clean water laws over coal ash leaking from Duke Energy storage pits around the Buck power plant on the Yadkin River near Salisbury. It looks like DEQ - known as the Department of Environment and Natural Resources, or DENR, until a name-change last month - instead is taking legal steps that delay cleanup, Biggs wrote. DEQ spokeswomen didn't respond to requests for comment. Rather than diligently pursuing enforcement against Duke Energy's leaking coal ash basins, the state agency 'has been diligently protecting Duke Energy,' said Southern Environmental Law Center attorney Frank Holleman, who represents the suing groups. Duke Energy declined comment on the judge's ruling. 'We remain very focused on closing ash basins in ways that are safe for people and the environment,' company spokeswoman Paige Sheehan said. In May, Duke Energy pleaded guilty to federal environmental crimes and agreed to pay $102 million in fines and restitution for years of illegal pollution leaking from coal-ash dumps at five North Carolina power plants other than the Buck site. For nearly 90 years, Duke Energy disposed of the residue left after burning coal to generate electricity in unlined basins around the Buck plant that now hold 1.5 billion gallons of coal ash and contaminated wastewater, the judge said. Coal ash contains numerous toxic heavy metals, including mercury, lead and arsenic. About 70 families and landowners near the Buck plant have been warned by state authorities to stop drinking the water from their wells. Many residents living near the plant in the close-knit rural community of Dukeville have long been concerned that Duke's coal ash might be making them sick. The Associated Press reported in June that well testing by Waterkeeper Alliance found readings for potentially toxic chemicals associated with coal ash at levels exceeding state groundwater standards. Citizen lawsuits such as the one brought by the Yadkin Riverkeeper and Waterkeeper Alliance offer a tool to force pollution to stop when the government can't or won't do it, Biggs wrote. To keep them going, citizens must demonstrate a pattern of conduct in the state's pursuit of polluters that could be considered time-wasting, cozy or otherwise in bad faith, Biggs said. The state DEQ has until the end of the year to classify the Buck power plant as a high, intermediate or low risk. Closure could be as early as 2019 or take until 2029. No comments were found for Judge hits state agency over Duke Energy coal ash pollution. Be the first to comment!